...fail to turn up in court. There were two cases listed. The first defendant got awarded £10 for travel and parking. The second defendant, who was a little better prepared, was awarded £100. He pointed out that a litigant in person could claim for their time, and was awarded the maximum of £90. The judge would have awarded a further £25 in expenses if receipts had been provided. The judge decided that the signage was not adequate and that there was no genuine pre-estimate of loss. It was fairly generous of her to decide the case anyway as CEL did not turn up. A recent judgment shows that the assessors the Independent Parking Committee are using fail to have a basic grasp of English. The sign shows the conditions of parking. One of these is that pre-authorised vehicles are allowed to park. 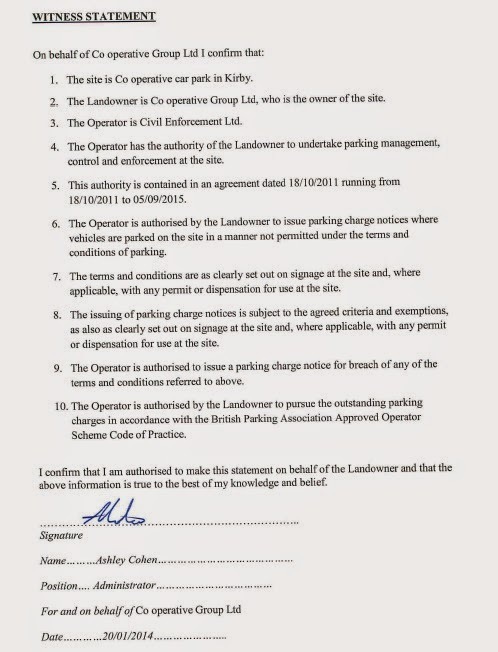 There is no dispute that the Appellant holds the licence agreement and is authorised to use the parking space in question. However the Parking Charge Notice was issued because the vehicle was not clearly displaying a valid parking permit. Therefore any points raised as to whether the Appellant was an ‘authorised’ user are irrelevant. Obviously, serious doubts as to the assessors competency arise if the assessor does not know the meaning of the common English word 'or'. Just to make it clear to the assessor, here is the wording of the sign he should have considered. 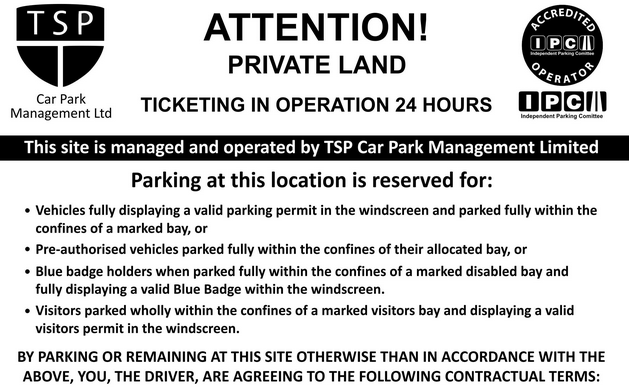 This clearly states that authorised users can park, and that there is no requirement to display a ticket. The POPLA IAS board recently highlighted the dangers of a 'race-to the bottom' if operators are allowed to choose to use competing appeals service. In The Prankster's opinion, decisions of this quality highlight the fact the the appeals service offered by the IPC is not fit for purpose and should be replaced as soon as possible. The Prankster hopes that the 'barrister' the IPC used for this appeal is quietly retired and replaced by one who understands English. Parking companies have hit on a new wheeze to avoid POPLA fees - issuing invalid POPLA codes. UKCPM have now done this for at least two motorists and no doubt many more. In cases like this motorists should bring this to the attention of the British Parking Association's Gemma Ridgewell who handles POPLA related issues. Email a copy of the rejection notice so she can confirm the POPLA code is invalid for the date on the rejection letter. Update. The British Parking Association have replied with the following advice. In essence the operator should have changed the 7th digit of the POPLA code from a 4 to a 5 – the 7th digit denotes the year of the issue of the Verification Code. We did send out reminders to all operators to do this but this operator must have missed it. I don’t think it’s deliberate, just an oversight. You could suggest to the people that you are in contact with to change the 7th digit from a 4 to a 5 when they appeal to POPLA – this might be more expeditious for them. Schwartz/Scwarts? Were you taken to court by Civil Enforcement Limited or Debt Enforcement and Action Limited? If you have a DEAL claim form where the solicitor is M Scwarts or a CEL claim form where the solicitor is M Schwartz, please get in touch with The Prankster this week, by Friday 30th Jan 2015. ParkingEye were criticised in court today for failing to inform the court that the case they rely almost entirely on, ParkingEye v Beavis, is being appealed. ParkingEye were represented by a barrister from LPC Law who met with the defendant before the hearing. At no point during the meeting or the hearing did the barrister mention that the Beavis case was being appealed. This is a serious breach of the solicitor's code of conduct, which requires that all relevant information, even if not helpful to the solicitor's side of the case is brought to the attention of the court. This is especially relevant if the other side is not professionally represented. The judge, believed to be DJ Lettall, gave the barrister short shrift in the hearing. He asked why neither he, not ParkingEye, had mentioned that Beavis was being appealed in their evidential documents. The barrister tried to bluff this was not relevant but of course it is highly relevant. The barrister then tried to lie that the defendant had failed to attend a mediation meeting. This was of course completely false, and in fact the defendant had made strenuous attempts at mediation, all of which ParkingEye ignored. The judge saw through this ruse and pointed out that mediation is done over the telephone and therefore his story was not possible. The judge adjourned the hearing until after Beavis, and awarded the defendant costs for his attendance. DJ Lettall is fully aware that the Beavis case is being appealed as the last time The Prankster was in his court he asked if he could keep the Prankster's copy of HHJ Moloney's leave to appeal. In that case he also questioned why the claimant had not mentioned the Beavis case was going to appeal. The claimant, Excel, denied knowing the case was being appealed despite going to a British Parking Association meeting the week before to discuss the appeal. Rachel Ledson, head of Legal at ParkingEye, and Patrick Le Bas, Head of Advocacy at LPC Law have both been warned that if they quote the Beavis case then they should bring to the courts attention that the case is being appealed. It may therefore be time to report these two people to the Solicitor's Regulatory Authority for them to determine if any wrong doing has occurred. The Prankster has been forwarded the following email from a number of different sources, and therefore believes it to be correct. Dear sir / madam Please accept my apologies for the delay in providing feedback to you and also this format of doing so which is slightly unorthodox but is due to the large number of reports the Solicitors Regulation Authority has received about these circumstances. A number of individuals have received claim forms issued by Debt Enforcement & Action Ltd and signed by “M Shwarts, solicitor”. Upon making enquiries as to the identity of “M Shwarts”, you have been informed that there was not a solicitor on the Roll of England & Wales of this name. I can confirm that enquiries have been ongoing to establish whether the “M. SHWARTS” noted on the court application documents is a solicitor or not as there are several qualified solicitors of the name ‘M Schwartz’ (and other slight variations of spelling) that could be employed or instructed by Debt Enforcement & Action Ltd. In the first instance the enquiries were to establish if the spelling on the claim forms is the correct spelling of the solicitor’s name or whether it is a misspelling that has been repeated by the use of a template document. These enquiries were crucial as I needed to establish whether this matter should be dealt with under the Solicitors Code of Conduct (if the individual is a solicitor) or whether the matter should be treated as a criminal investigation under Solicitors Act 1974 ss. 20-21 and s.24 or s.14 Legal Services Act 2007. I can now confirm that I received a response from Civil Enforcement Ltd, the parent company of Debt Enforcement & Action Ltd, which confirmed that the solicitor in question is Michael SCHWARTZ, SRA id 118966. I can confirm that this person is a solicitor currently on the Roll of Solicitors of England & Wales and does hold a current Practising Certificate. Furthermore Civil Enforcement Ltd has informed me that they have written to the Court informing them that there was a spelling error on the claims documents issued by referring to the solicitor as “SHWARTS”. As such I will be today referring the reports that the SRA has received regarding these issued claim forms for consideration of any breaches of the SRA Code of Conduct. I hope you find this update informative. Should you have any additional enquiries in relation to this matter, please do not hesitate to email report@sra.org.uk. It is interesting that Civil Enforcement Ltd have confirmed they are the parent company of DEAL. This releationship was always suspected, but it is useful to have it confirmed. Is Chris Dawson's The Range operating a criminally based parking operation in Barrow with ParkingEye's help? Chris Dawson owns CDS Superstores, who run the successful 'The Range' series of stores. One of these is in Barrow-in-Furness, and has a respectably sized car park adjacent, which is run on behalf of The Range by ParkingEye. Unfortunately no one bothered to apply for advertisement consent, under the Town and Country Planning (Control of Advertisements) (England) Regulations 2007 (as amended), for their signage in the car park. Regulation 30 indicates that this is a criminal offence. The Local Planning Authority wrote to the Land owner back in March 2014 and nothing happened. The actual occupier is CDS (Superstores International) Limited trading as The Range. The planners then wrote to ParkingEye in August asking for a formal application for consent. Parking Eye showed their contempt for the law by just ignoring the request. Finally they wrote again in November 2014 spelling out their criminal conduct in no uncertain terms and threatening a prosecution. Please be aware that anyone who displays an advertisement or knowingly permits someone else to do so, without the consent required, is acting illegally. It is then immediately open to the planning authority to bring prosecution in the Magistrates’ Court for an offence under section 224 of the Town and County Planning Act 1990. It is trite law that if a crime has to be committed to create a contract then that contract is illegal and unenforceable. To create the contract they had to have the signage. 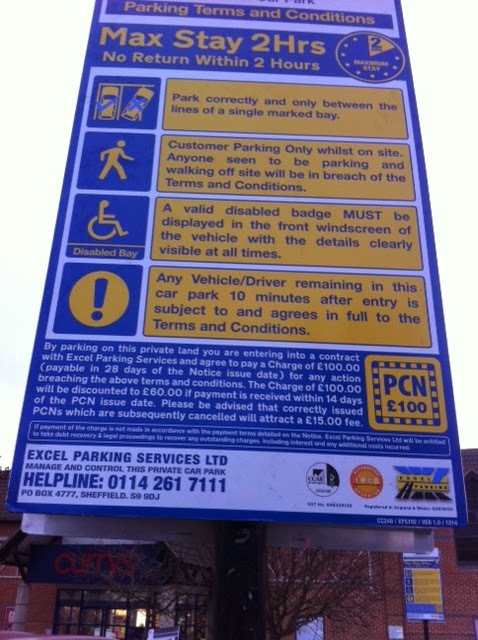 Thus all parking contracts that ParkingEye have alleged they have had over the past two years have been unenforceable. Under the contract between ParkingEye and The Range clause 3.5 indicates that it was the responsibility of The Range to obtain the necessary consent. Regardless, a prudent business should have checked that the consents were in place before they started to operate. 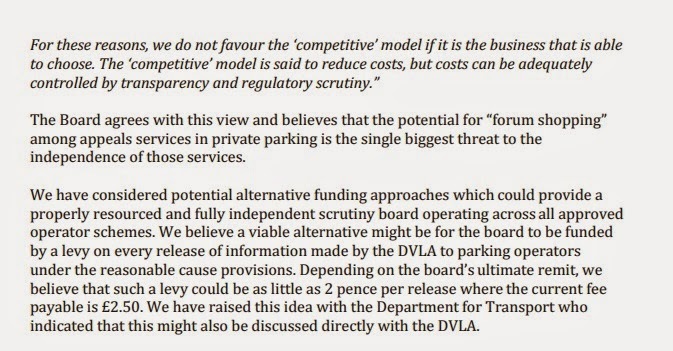 ParkingEye/The Range have known, from the planners, about this issue for 10 months during which it has continued to issue parking charge notices to motorists with whom it has entered into illegal contracts. There may be an issue here around fraud. ParkingEye's standard contract (clause 3.11) shows they collect charges for breach of contract on behalf of the landowner. If this is in force with The Range then Chris Dawson's store will have trousered a lot of cash from parking charges illegally from his own customers in the last few years. The ParkingEye v Somerfield case established that each parking space is worth 0.4 parking charges per week. At £100 a charge, that is £4,000 a week per 100 spaces, and £208,000 a year. The Prankster suggests that any motorist who paid a parking charge for The Range in Barrow in Furness applies to both ParkingEye and The Range to get their money back. This may also apply to motorists who have had court judgments against them. In this case the Tort of Deceit may apply which could mean the motorist can bring a fresh case. Motorists interested in this should take legal advice first. The interview can be heard on iplayer at this link. It is about 1:21 in. Iain Lee is interviewing Dave Smith from the British Parking Association. Iain Lee: But those ones that for for a hundred quid fine for being fifteen minutes over, it's a bit tight isn't it? I: Well 15 minutes wouldn't be wrong and we know that it does happen so how is that justified? I: So why do they do it? I: But you've still not quite answered the question. Why is is fair to fine someone £100 for being 15 minutes over when they've spend a few hundred quid in the shop? D: ...its around £80, £75 and then there's a discount as well to 40%. If people feel the ticket is unfair they can appeal that ticket. I: I'm going to ask the question one more time Dave because maybe you're not hearing. Why do you think its acceptable to fine people up to £100 if they are 15 minutes over their limit? I: Well it does happen though. We know it happens. We've just spoken to someone who has instances of it happening. So why do you think its fair? D: Well if it isn't fair Iain, then people should appeal that ticket and there are processes in place to allow them to do that. I: Why do YOU think its fair? I: So it's unfair. You're from the British Parking Association and you're saying its unfair that people who are 15 minutes over the limit should be fined £100. Up to £100. I: Ok those minority of cases it happens, is it unfair? I: Well not you from the...you can give me your opinion as someone from the British Parking Association. Is it unfair? I: Ok here's an instance. Someone has parked for 15 minutes longer than they should have done. they get a fine of lets say £80. Is that fair? D: As the current situation stands that is what motorists have to contend with and they should appeal that ticket if they think its unfair. I: But is it (laughs) is it fair? D: Iain it's not for us to decide it's for the appeals service to decide. I: You're regretting it? So you thought it was unfair, then you reconsidered it and now you think its fair? D: No, no, no you're twisting my words I'm afraid. I: Ok, well you did say its unfair. That's not twisting, that's what you said. D: ...and it's for the appeals service to decide whether that ticket issued was fair or not. I: Ok. Making it difficult for people to go shopping and do things isn't it? D: Well no I think we've got to think about the landowner here. The landowner is providing a service for the motorist and what we don't want is a situation where the cost of that charge is £10..£20 and therefore the motorist says "Oh well I'll just park here all day then as I'm happy with that cost"
I: Yes yes, its a nice little earner isn't it? D: I don't think so no. I: How much do these companies make? I: How much do these companies make Dave? I: Right cos a private landowner isn't going to do it for free are they? I: How much does it cost? I: What about this thing that we've heard that if you get one of these they are not enforceable by law? D: They are agreeing to the terms and conditions in that car park which are clearly set out in signage at the entrance to the car park and throughout the car park. Those guidelines are in place and they should be adhered to. I: But if its not legally enforceable - and thanks for telling everyone that Dave because that's certainly going to help a lot of people - then you get one of these fines through the letterbox you might as well just rip it up if they can't enforce it. No ones going to pay it voluntarily are they? I: But if its not legally enforceable whats that pursuance going to do apart from be classified as harassment? I: So its not legally enforceable? I: Well! One final question Dave. If someone is 15 minutes over their limit is it fair they should get an £85 fine? I: Dave thank you very much indeed. Always appeal your parking charge if you think the amount is too high. If the charge is for breach of contract then the law currently is that the charge must equal the loss, so a charge of £20-£40 may well be enforceable, while a charge of £100 would not. The Prankster has been made aware of a POPLA case which calls into question the competency of the POPLA assessors and also the POPLA administration team. As aside issue, the case also calls into question the competency of the car park operators, CP Plus, but then that was probably a given. The motorist overstayed at a service station because of a breakdown. The car was at all times parked in the recovery area and not the main car park. The Prankster has some file pictures for this service station, and believes there are no signs whatsoever in the recovery area. The motorist was therefore unaware there was a time limit. The Registered Keeper originally appealed with several reasons. However, one reason was that the Notice to Keeper was not compliant with the Protection of Freedoms Act 2012, and therefore keeper liability did not apply. The appeal was quite detailed, listing several reasons why the notice was not compliant. The assessor just picked one of these reasons, and declined the appeal point without considering the full list of reasons. There were several other completely valid appeal points which the assessor bafflingly ruled against as well. The Registered Keeper therefore asked POPLA to reconsider on the grounds they had not properly considered the appeal points. POPLA replied they would not. The keeper pointed out they had never received an evidence pack from POPLA. They supplied the evidence pack. A short time was allowed for the motorist to rebut the evidence before the appeal was reheard. The motorist found it was closer in content to the inside of a cracker than a proper evidence pack. The signage map was from the wrong car park (the other side of the motorway). No photographs of signage in the area parked were supplied. The GPEOL explanation was copied from a different operator, and they had forgotten to change the name to CP Plus. The initial loss to the operator was stated to be a sum which was not due to the operator but to another party. Most of the GPEOL was due to appeal costs which only occur in 2% of cases. The Notice to Keeper was clearly deficient. Any competent assessor could have upheld the appeal for a number of reasons. The keeper send in the rebuttals and waited. CP Plus complained that they had emailed the evidence pack to the keeper on time, and so the result should stand. The keeper replied he had not received it, it was not in his spam box, and if POPLA wanted to rely on an unsafe mechanism for evidence pack delivery where the operator emailed the motorist, then they should expect to have to hold a few rehearings now and then. POPLA reconsidered the case with a new assessor. Not surprisingly, the assessor ruled the NTK was not valid after all, for exactly the same reasons the keeper put forward in the first place. The parking charge was cancelled. This puts the whole competency of POPLA at issue. If the assessors cannot get the basic issues right such as the correctness of the Notice to Keeper, then this is a big concern. If the administrators will not allow a rehearing when the assessor has made a clear mistake, this is a big concern. If POPLA rely on operators to send out evidence packs this is a big concern. There are well known postal black holes at ParkingEye and Armtrac, let alone the other operators. Not one of the evidence packs sent to the Prankster by CP Plus were sent on the date they told POPLA, giving The Prankster an unfairly short time to rebut the evidence. The Prankster wonders how many other appeals have been lost due to errors by the assessors. There needs to be a proper system where assessor errors can be fixed. Civil Enforcement Limited failed to show up at Court on Wednesday, 14th January 2015 (Claim No A58YM418). In a pattern familiar to readers of this blog, CEL rang the defendant and even sent a letter to advise that they had decided to withdraw claims and discontinue proceedings. However, they failed to advise the Court. The afternoon prior to the case being heard the defendant wisely contacted the Court who confirmed it was still listed. The defendant attended and as usual CEL did not. The Prankster warns all defendants to always check with the court even if CEL tell them the case is cancelled. If both parties fail to turn up, the judge may well find for the claimant. 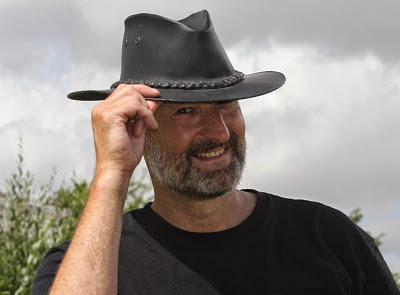 The Prankster's Smart Parking mole has informed him that they have poached Ben Johnson from ParkingEye, and he is now Smart Parking's new Managing Director. Ben is rumoured to be ruthless, and his first action was to made a large number of redundancies, sweeping out unnecessary senior operations managers to streamline the operation. It appears the company will now concentrate primarily on ANPR only operations and remove manpower from sites. He is said to have bought over a number of other ParkingEye employees, including all his technical and operational staff. The Prankster wonders whether Smart Parking will also be following the ParkingEye litigation model. Previously they have not been known to take court action. With 6 years worth of old parking charges to play with, this could be a much needed source of revenue if they ever lose the Asda contract, which is estimated to be worth 70% of their turnover. 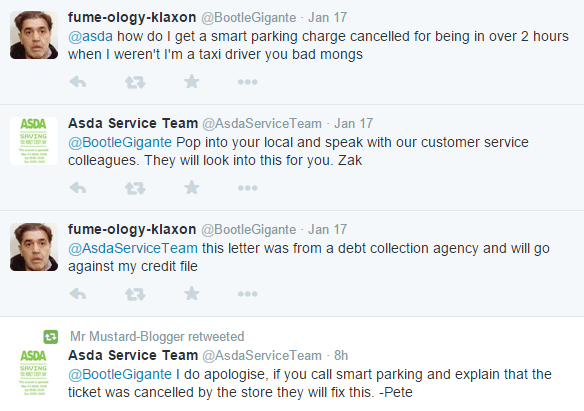 If Asda do decide to terminate the contract, The Prankster advises them to make sure their employees are safe from tickets, given Civil Enforcement Limited's recent actions. If any other Smart Parking current or former employees would like to get in touch with the Prankster to confirm this information, his email address is prankster@parking-prankster.com. 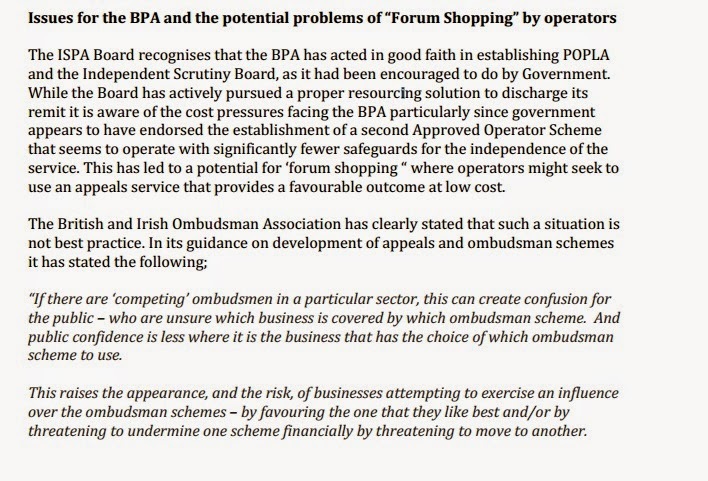 The POPLA board has published an open letter to the BPA in which it raises various issues. The board does not have enough funding to do a proper job. The board is concerned that parking operators can forum shop and use a different appeals service with fewer safeguards which has a more favourable outcome at a lower cost. The Prankster considers this to be of extreme concern.The ability of operators to effectively use a 'kangaroo court' undermines the whole appeals service. 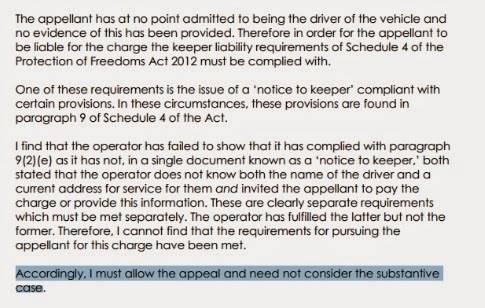 Here is POPLA's verdict on a case where the Notice to Keeper was not compliant. As you see, the onus is on the operator to prove who the driver was. This is a complete opposite to the IAS view of the burden of proof. And here is an IAS decision where the NtK was not compliant. As it happened, in this particular case the keeper was not the driver, so the assessor made a completely incorrect inference. The appeal result completely depends on which appeals service is used. Furthermore, the IAS appeals service is clearly a travesty of justice. One of the points of the appeals service is to reduce the burden on the court. There is no point, therefore in running an appeals service in which the burden of proof is on the motorist. No motorist in their right mind would pay up after receiving such a judgment. Instead, they would be far better off by using the court process to force the operator to prove their case - since the operator was not able to prove their case to the IAS, they are not likely to be able to prove it in court either. This pepipoo thread tells the tale. As normal, CEL failed to turn up. The judge awarded some costs against them. Apparently they did not try their tricks of getting the motorist to fail to turn up too. [Note. The Prankster is not an expert on High Court Writs and bailiffs. Take legal advice if you are in the same situation. If any information is wrong, please contact with corrections at prankster@parking-prankster.com]. This pepipoo thread tells the story of a student who unwisely ignored parking tickets. Although they could have all been cancelled by appealing them the student did not. Eventually the parking company, Vehicle Control Services, took the student to court. However, as the student had moved they did not know about the court claim and the parking company got a default judgment against them. The next step is extremely clever. The parking company then traced the student and took out a High Court Writ against them. Normally if you find you have an unknown CCJ against your name, you can apply to the court to get this rescinded and the case reheard. This happens with ParkingEye cases every day of the week. However, once you have a High Court Writ against you, bailiffs can turn up and seize your goods. You can still apply to get the CCJ overturned, but this will not happen for several months, and the bailiffs may not wait; you may therefore be in the position of having to pay up, and then having to try and claim your money back from the parking company. If this new tactic from the parking companies is successful, The Prankster expects other companies to follow suit. The Prankster believes this should be outlawed in the Code of Practice. The Parking companies should be required to confirm the address of the motorist before taking court action, not after. The DVLA should provide this information to them if they previously provided incorrect or out of date information; otherwise, the parking company should trace the address if the motorist has never made contact or if there has been a substantial period since the last communication. If the address turns out to be incorrect after a default judgment has been achieved then the parking company should apply for the CCJ to be removed at their cost if they did not take these steps and then restart proceedings.